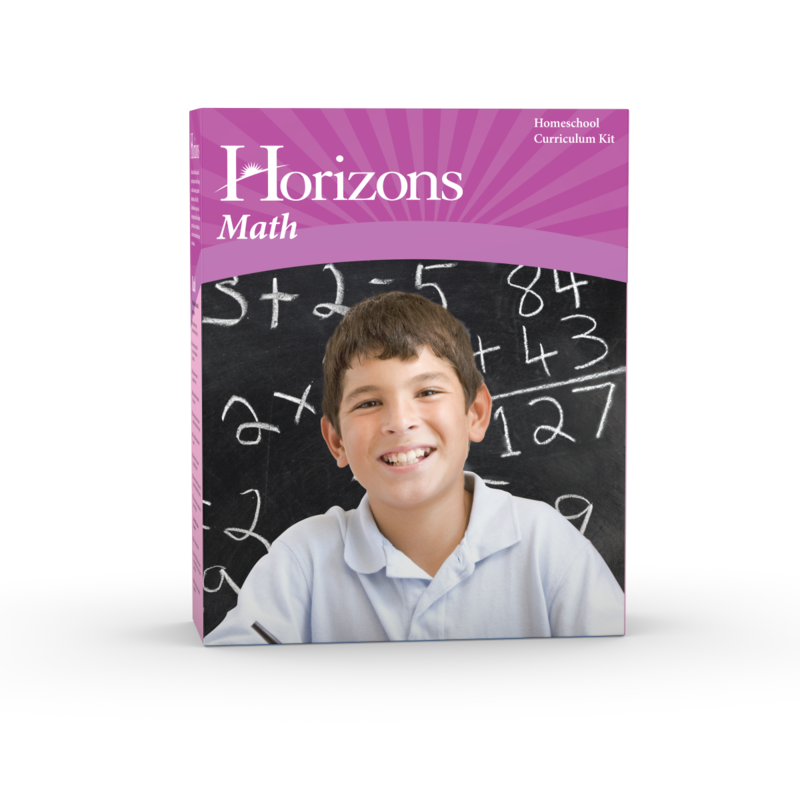 Introduce your child to practical math-related skills like check writing, time zones, and counting back change with the award-winning Horizons 5th Grade Math Set curriculum from Alpha Omega Publications. Each student workbook introduces new concepts through the process of introduction, review, and reinforcement with colorful, eye-catching illustrations. What's more, removable pages in this Alpha Omega curriculum make for easier computation of math problems. Additional concepts covered include reading and writing ratios, geometric figures, equivalent fractions, and more! But that's not all! The teacher's guide in this user-friendly math curriculum not only contains a daily lesson planner, answer keys, and additional worksheets for review, it also has a student readiness evaluation to help you determine your child's strengths and weakness in 5th grade mathematics before you begin. And daily teaching tips, specific goals, suggested activities, and a list of necessary materials make teaching math easy. Sound great? It is. Clearly, you'll discover a fun, motivating math course with the highly acclaimed Horizons 5th Grade Math Set. Order yours and experience homeschool math at its best!